Koza Sokak No. 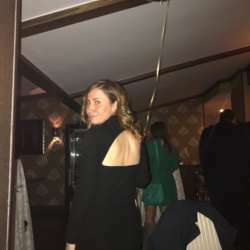 52, G.O.P. It is finally that time of the year we have all been waiting for - The Academy Awards! 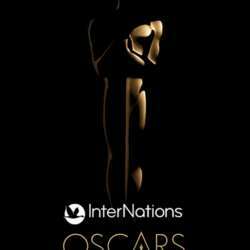 We invite you to our InterNations Oscar Night 2019. Let's celebrate the movie characters in all of us! You can be a movie character or film star, it's up to you! Walk down the Roof Bar at Koza Suit Hotel and have your picture taken with an Oscar statue on our red carpet. We will ask every attendee to dress up as his/her favourite movie character or just dress up like at the Oscar-Night. Let’s meet at the roof bar of Koza Suit Hotel which will be exclusively opened just for InterNations! The venue will provide us an exclusive place. At the first hours of the night, we will start by mingling with each other and the The DJ will put us in the mood for our Oscar Night with wonderful hit music! Please come and join us on Saturday, 23 February, from 19:30 onwards. Of course every guest receives a wine, beer or vodka as a welcoming drink. Enjoy a night of glamour and fame because the top two evening outfits will receive an Oscar and surprise gift! So put on your best costume or your fanciest dress and show us how creative you are!!! If you do not win, don't worry! Every guest will receive a free welcome drink as usual. Our free welcome drink will be a glass of wine, beer or vodka. Make sure to sign up for the event to enter for reduced entrance fee! As always, give your international friends the opportunity to meet new people and invite them to join us at the event!